Okay, HAPPY BIRTHDAY, DEAREST FATHER!!! (It was technically yesterday, March 7th.) Wow. 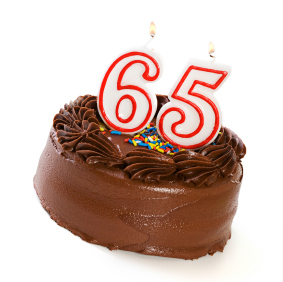 It’s the big sixty-five, which, of course, in birthday math, is only ONE. And I like how we’ll always be the same birthday age. One is a lovely age. Too bad it’s the loneliest number. I’m also thrilled that you’ve decided to “officially” retire at sixty-five, rather than your original plan of seventy (INSANITY). I wish your impetus for making that decision could be different. Mind you, I know the Brigham Young University Professor secret – BYU PROFESSORS DON’T REALLY RETIRE. They take the nice “retirement” present, enjoy the party and the roast, get a kick out of the “Emeritus” title, and keep working as long as humanly possible. I swear there are professors rattling around that campus who are at least two hundred and sixty-five years old. I’m not kidding. It’s a little unnerving – vaguely reminiscent of the walking dead (the well-read walking dead?). I’m quite certain that I added “walking dead” to the caveat section of my list, oh so many years back, that helped me choose to go to the University of Utah. By the way, you don’t fool me with all your “organizing the garage into a better workshop” twaddle. Nope. Cold turkey is NOT your thing. My fondest hope, my Birthday wish for you, is that when the time comes, you will take more time to fish, more time to wind-up the grandkids, more time to scream “WooHoo” at football games on TV, more time for the mountains – maybe even some time to get to some wonderful beaches. Please say a very happy belated birthday to your dad, although he doesn’t know me. The way you described him, I can just imagine his retirement (not). Hope, he’ll take it easy and enjoy his lovely family. I’m recovering of my recent surgery (did I tell you about my recurrance?) and thinking of ways to raise money- I have a lot of time with all the things I’ve been going through at the moment. Don’t worry, though, I won’t need chemo or radiation and I’m doing pretty good.